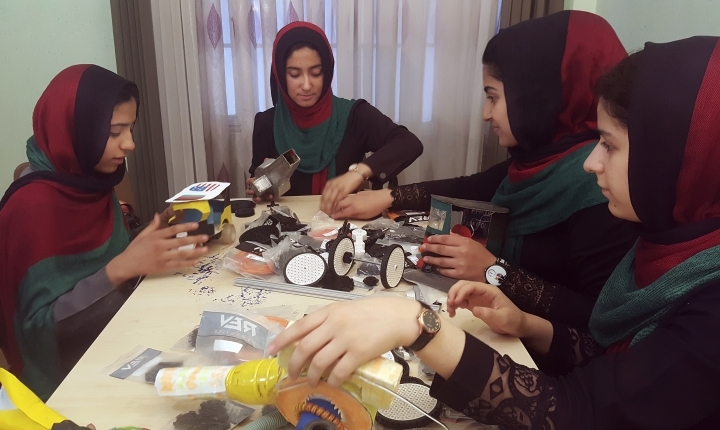 The third time's the charm for war-torn Afghanistan's all girls team who have been applying for U.S. visas to compete in an international robotics competition in Washington D.C. The girls will receive their visas after being told President Donald Trump personally intervened to reverse a decision by the U.S. State Department, says team manager Alireza Mehraban. Mehraban says: "It's a happy moment for our team." The grils will now be able to participate in next week's international competition along with entrants from 157 countries, which also includes Syrian refugees. "It's important for Afghan women to be able to share their ideas," said Mehraban. The girls' applications for U.S. visas had been denied twice, but the White House says President Donald Trump intervened and they will be allowed in to participate in the competition. White House spokeswoman Sarah Huckabee Sanders confirmed details of the reversal Wednesday, ending a saga that had sparked international backlash. The decision by the U.S. Citizenship and Immigration Services means the six girls from the war-torn country will be allowed in, along with their chaperone, so they can participate in the competition.